Our family has tried many meatloaf recipes and while there are others we really like, this one is our favorite. We always seem to come back to this recipe and you really could not get any easier than this. I want to tell you a little story about my little boy, I know he is 15, but he will always be my little boy. There used to be a time, through many, many years, that he only ate a handful of things. He was extremely picky. I have a love of food, no surprise, which made this really hard for me. I even remember a time I made "homemade spaghettios" which was spaghetti with meatballs. I worked so hard to make this believable for him. He ate it and liked it. I told him that it was a new pasta shape, wagon wheels. I told him what it really was and he never touched it again. I learned my lesson not to reveal my secrets, but he caught on quick. One time I made a huge deal about him trying my meatloaf. He absolutely refused it. I pretty much forced him to try it to see how good it was. He told me it was good just to satisfy me, but he never touched it again. Well fast forward and now he will eat anything that is not nailed down. Its funny to see it all play out sometimes. If he gets hungry enough he can not resist trying what smells so good. Recently, I made this meatloaf for dinner and tried to reason with him yet again, not putting much faith in it. He absolutely loves hamburgers, so we told him its just like hamburgers and ketchup with some seasoning in it. I went on my merry way, little did I know he decided to try it. I thought I was going to fall out in the floor when he told me it was good and it would be the only meatloaf he would ever eat. Mission accomplished, even though it was quite a few years in between. We have told him so many times about the good food he missed out on for so many years. I think it has finally sinked it they we are right. 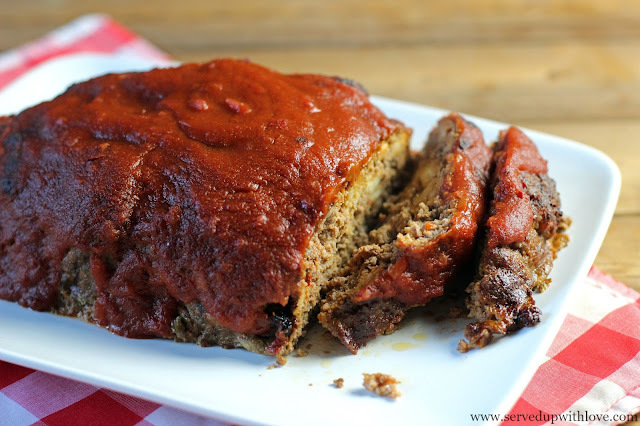 In my opinion, this is the best meatloaf recipe out there if my son ate it. If they are picky, eventually they get hungry and eat, at least if its a boy! I do not know where he puts it all and the term "I'm full" is rarely spoken. Combine all the ingredients together in a bowl, only using 1/2 of the can of sauce. Place in a loaf pan or shape into a loaf size in a casserole dish and place in a 400 degree oven for approximately one hour. Remove from oven and drain the drippings. 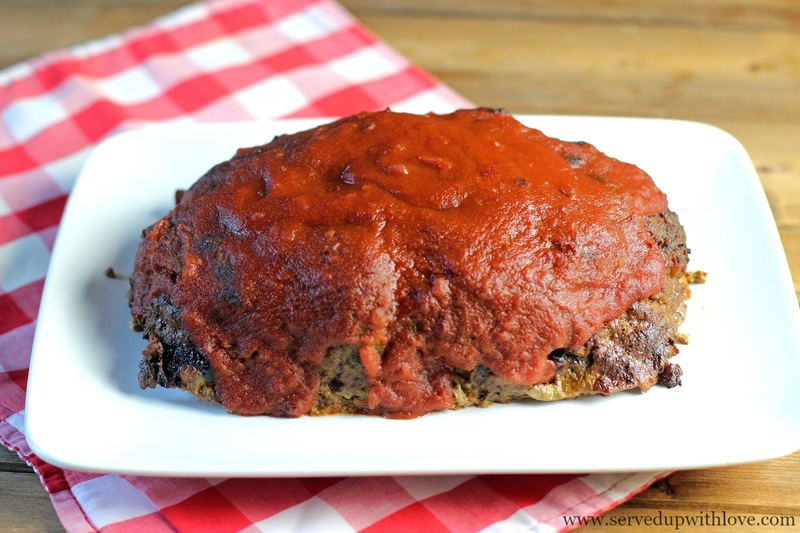 Top the meatloaf with the remaining sauce and place back in the oven for an additional 10 minutes. Let stand 10 minutes before serving. Preheat oven to 400 degrees. Mix together 1/2 can sauce, ground beef, eggs and oats or crumbs whichever you prefer. Place meat mixture into loaf pan. Bake uncovered for 1 hour, drain and top meatloaf with remaining sauce and continue baking for an additional 10 minutes. Let stand 10 minutes before serving. Enjoy! 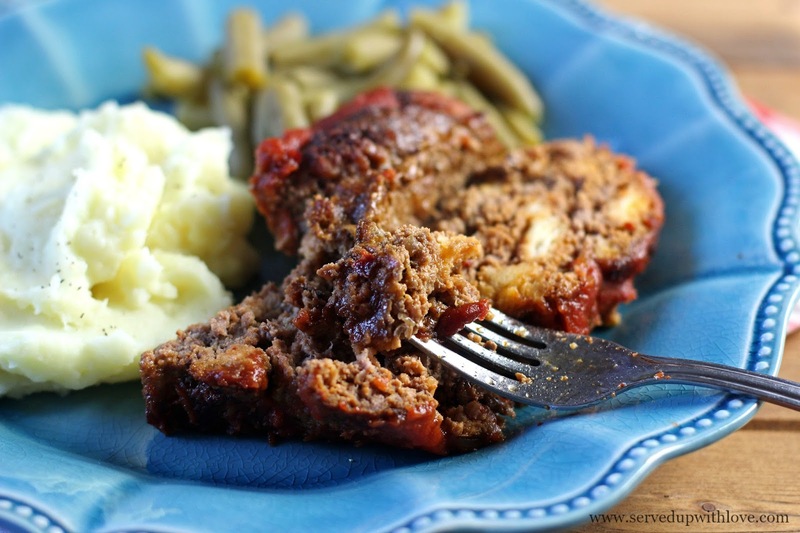 There's nothing like good meatloaf! 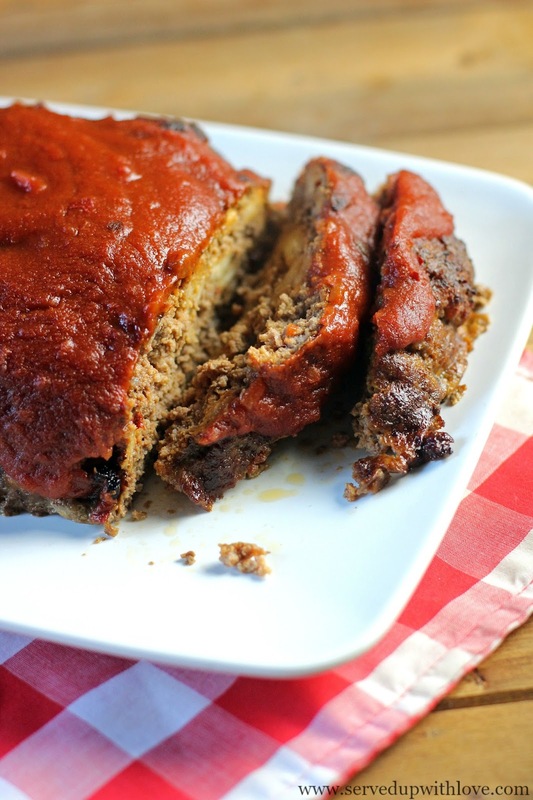 Meatloaf is an absolute favorite. I do love your simple recipe. Would love it for sure.